There are many new books about WWII and it amazes me that there are so many new ways that the story of the war are being told. I have reviews of three books that all show how horrible the war was for the people in Europe but they are told from different perspectives even though they are all based on real people. I have read all three in the last month and after the sadness of these books, I think it's time to start reading Christmas books. I read a lot of WWII books but this one was presented in a way that I've never read. Charles Causey wrote about what was happening in the lives of two very different people during the same time periods in WWII. He contrasted a person who was truly good -- Corrie ten Boom who was part of the Dutch resistance and hid Jews in her home until she was discovered by the SS and sent to jail and then to a concentration camp with her sister. She believed there was good in all people and was a strong Christian person who knew that it was her duty to help others. The other person is Albert Speer, a man who was in Hitler's inner circle and his a close friend and was a truly evil person. The author did a great job of researching his book and every person who is mentioned in the book is a real person and their actions have been detailed from national archives. This book reads like a novel and even though the reader may know all about the war, I learned so much about the personal motivation of each main character. It's a wonderful read and shows the good vs the evil of a tumultuous time in the history of the world. I enjoy reading books about WWII but this is different slant on the era. It's told from a more personal view with well researched information about what it was really like to live during this time period - from the difficulties getting food due to rationing (Spam was a real treat!) 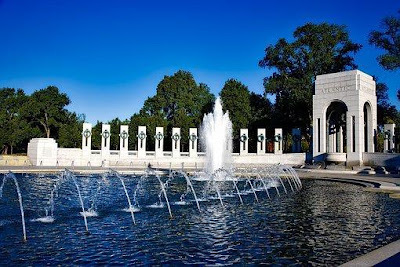 to details about the contributions that women made to the war - from office jobs to factory jobs, they helped win the war. 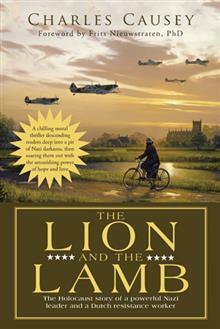 Plus this is based on history from the author's own family - the main character is based on what her mother went through during WWII. The novel begins in Prague in the late 1930s when Lena lived with her family. They are Jewish and starting to feel the wrath of anti-Semitism. Lena much admires Otto, a refugee from Germany who is well known for his speeches about the Spanish War. She goes to work for him, falls in love with him and moves to Paris to work with him. During the time period that she is in Paris, the author rewards us with beautiful descriptions of Paris and the resilience of the people who are getting ready for war. After Otto again moves - to England this time, she stays behind in Paris hoping that her younger sister from Prague will be joining her in Paris. Finally with help from Otto, she is able to move to Paris right before the borders are totally closed. 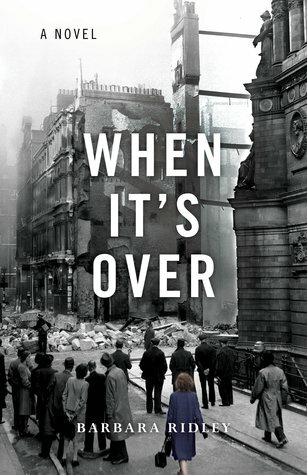 In England, she survives the Blitz and begins to grow up and face some harsh realities about her life and the lives of her mother and sister who were left behind in Prague. This is a well researched, well written book and I loved the personal aspect of the way it was written. Lena is a character that I won't soon forget. I look forward to Barbara Ridley's future books. 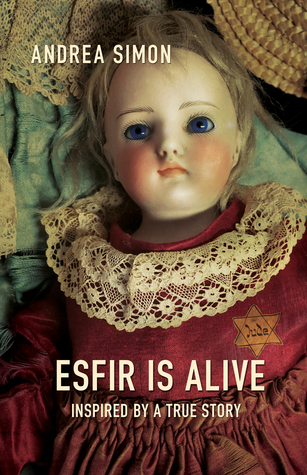 Esfir is Alive takes place from the late 1930s to the mid-1940s. It starts when the main character, Esfir is only 7 years old. She lives in Poland with her family and acts of Anti-Semitism are on the rise in her community, even from small children in her class at school who throw stones at her while the school officials do nothing. Her parents send her to another town to live with her aunt, hoping that she will be able to go to school without problems but even there she runs into taunts from the other children. As she grows older, the attacks against the Jewish population becomes worse and then the family is moved to the ghetto. What happens to the family after that is horrific but Esfir's story is based on a true story and needs to be read to remind us of the terrible things that went on so that we make sure it doesn't happen again. I thought that this was a strong, well researched novel that was written with a lot of love for the main characters. It was a different view of what was going on at the time since it was through the eyes of a 7 year old girl who really didn't understand at first why there was so much hatred and violence in her world. This was a coming of age story during a terrible time in history.